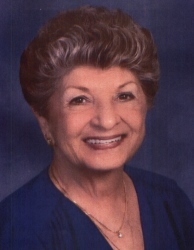 Mary Carolyn (Caliendo) Sciortino, 78, of Naples passed away on April 8, 2019. Mary had been a resident of Naples since 1995, having relocated from the Chicago area. Mary received her B. S. from Quincy University and graduate degree from Concordia University. She served 33 years in elementary education as a teacher and principal and always held her school family close to her heart. She was and active member of the Shells Club of Naples whose support and friendship throughout he Naples years was so appreciated. Her loving husband, Louis pre deceased her in 2011. The treasures he left to enjoy were his wonderful children, Timothy Louis of Birmingham, AL,and Teri Lynn (Eric) Raucci of Phoenix, AZ and three adored grandchildren, Anthony, Samantha, and Ashley Raucci of whom she was proud, and loved with her whole heart. She is also survived by a brother Jerry (Ruth) Caliendo of Wisconsin and a brother-in-law Michael Sciortino of Terre Haute, IN. Mary was also preceded in death by her parents, Jerry and Stella Caliendo, her dear brothers, Martin and Anthony. Family and friends are invited to attend a funeral mass on Wednesday, April 17th at 10:00am at St. Peter the Apostle Catholic Church, 5130 Rattlesnake Hammock Road. Inurnment will be in the Columbarium immediately following mass. In lieu of flowers, the family asks that donations in her memory be made to St. Peter the Apostle Catholic Church or to the charity of your choosing.